It's the one fabric we have to do anything with, until now! We kept it subtle per usual with just our logo on the sleeve. We decided that you'll feel right at home wearing this on a ride or going out for beers. No obnoxious "in-your-face" bold patterns or type, just a clean, simple setup. OVERVIEW: Featuring an incredibly soft Merino wool fabric blend and minimalistic definitive styling, the High Country is ideal for any off-bike activity. FABRICS & CONSTRUCTION: Breathable, moisture wicking, temperature regulating and odor resisting, the Merino Wool blended fabric will keep you warm, dry and comfortable. 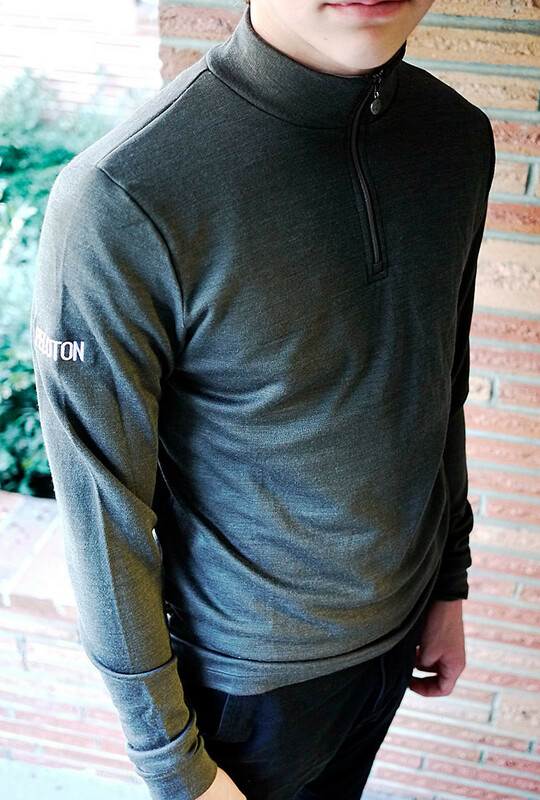 The 60% Merino, 32% Polyester blend will provide an outstanding classic look and feel. The ¼ zip pull-over design utilizes the definitive industry standard metal YKK zipper on an extra- tall collar for warmth. CHECK THE GENERAL SIZE CHART HERE BEFORE YOU ORDER!